I don’t know about you but I leave a veritable graveyard of planners in my wake. I’ve tried dozens of them with varying levels of success and learned that there is no one-size-fits-all planner. Some people want a by-the-hour daily planner to manage their schedule. Some people want a don’t-box-me-into-a-schedule goal planner. 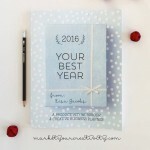 I’ve rounded up some of the most popular 2016 planners out there in this quick guide so that you can choose the one that fits your needs. Be sure to read to the bottom to claim the Bloom Business Solutions daily, weekly & monthly action plans for FREE! 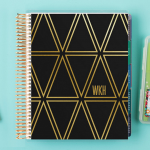 What’s to Love: This planner is colorful while still understated. I enjoy the clean design that leaves plenty of space for me to write. 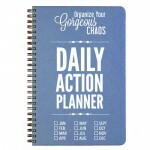 There are quite a few goal planning tools along with space to track your daily schedules. I also love the Dailygreatness Journal which is less business focused but still great for laying out personal goals. Both are undated so that you can add the days/weeks/months as you go. They also offer a fitness training journal and a yoga journal. Things to Consider: Fully bound so you can’t add pages. What’s to Love: This goal setting workbook is very colorful and artistic, it’s a joy to work through. Offered in both print & digital versions, if you get the digital version you can choose to print it yourself and then add or remove pages. The print version is wire bound. 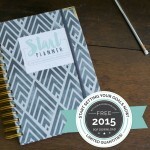 She offers bundles that include a wall calendar and a daily planner. Things to Consider: The structure and language of this book definitely leans towards new age which will be a great fit for some but too woo-woo for others. Since it’s wire bound you can’t add your own pages. What’s to Love: If you want something that blends 2016 vision casting with monthly/weekly birds eye view planning, this is a good fit. I have really enjoyed the goal setting tools in this book. Plus it’s inexpensive and available on Amazon Prime! Things to Consider: Not as “pretty” as other planners but has a very clean design printed in black. Fully bound so you can’t add pages. Not a daily planner. What’s to Love: The cover is customizable and replaceable. You get to choose the planner layout. Includes reinforced tabs to separate the months, colorful stickers to use, one zipper pocket and a folder pocket for receipts/etc, lots of add-on accessories that are fun and customizable. Things to Consider: Everything about this planner is colorful so if you want something plain and simple this isn’t the planner for you. Spiral bound so that it will lay flat but you can’t add pages. What’s to Love: Unique daily layouts that focus on unravelling your goals, monthly spreads for big picture focus. The clean simple design feels elegant. There are several versions based on how detailed you want to be with your schedule. Things to Consider: Fully bound so you can’t add pages. Much of the language is focused on manifesting & intention which will be a great fit for some but too new age for others. What’s to Love: plenty of room for your by-the-hour daily schedule and to-do lists, monthly overview calendars. What’s to Love: If you are an DIY planning hacker, this is the system for you. Basically you use a journal of your choice (most people use a dotted Moleskine journal) and a specially laid out system for creating your own custom planner. Things to Consider: This is DIY all the way so basically you are building your own planner as you go with paper and pens. The Bottom Line: You can build any size or format planner you want. 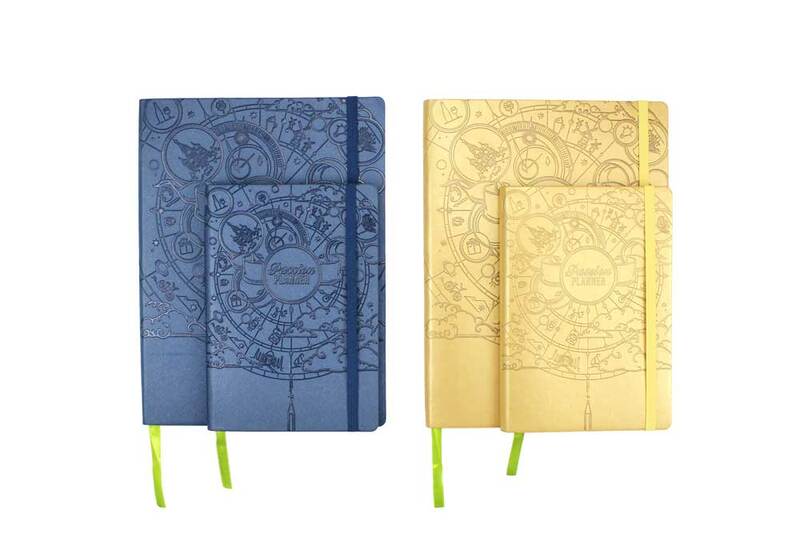 If you have a journal on hand it’s FREE or you can buy a blank journal in any budget. What’s to Love: Full size pages make writing out your schedule non-squinty. There is space for your to-do list on the weekly view and a neat “passion plan” guided brainstorming worksheet. This is a great planner for people who like to layout each day down to the hour. Things to Consider: Not as colorful or creative as other planners but has a very clean design in black text. Fully bound so you can’t add pages. What’s to Love: Tons of room for daily and weekly plans. I personally love the brain dump concept and the idea of tackling your “frogs”. Things to Consider: A single planner only covers one month (or 3 months) so you will need to buy multiple per year. Spiral bound so that it will lay flat but you can’t add pages. 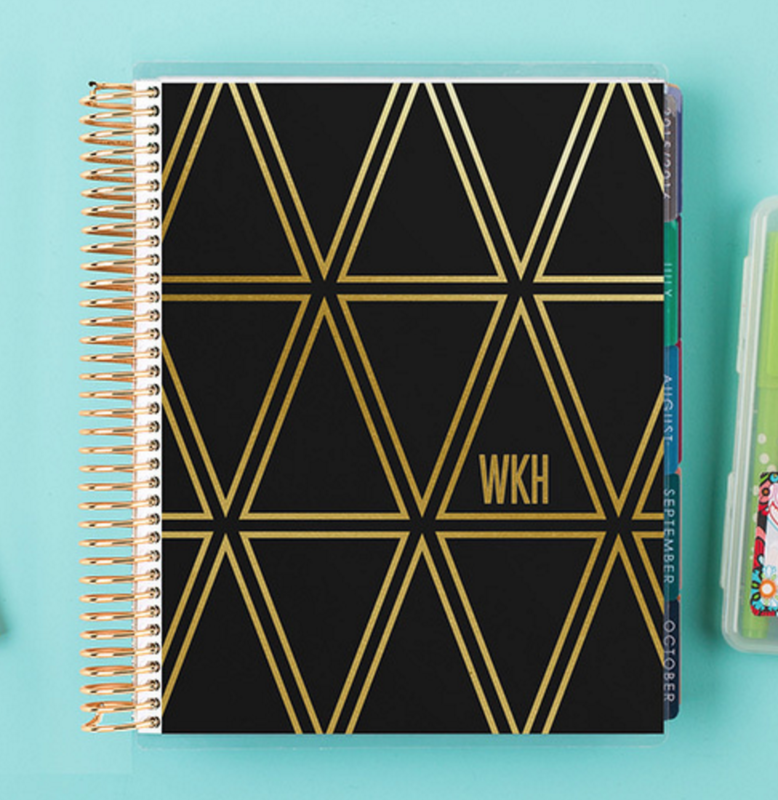 What’s to Love: These planners have a simple, professional layout with colorful highlights. Includes tabs to separate the months, reinforced corners and an inside pocket. Things to Consider: Spiral bound so that it will lay flat but you can’t add pages. No goal setting or planning pages. What’s to Love: This vibrant goal planning workbook is well designed. I love unique the goal and vision guidance in this planner. There are two options: a spiral bound workbook monthly dated, three hole punched worksheets undated. The undated version still includes month and week layouts, you just add dates as you go. The dated, spiral bound version has tab dividers and extra stickers. Things to Consider: The spiral bound version doesn’t allow you to add pages. The three hole punched version allows you to add or rearrange to your hearts content but you also have to purchase a binder. 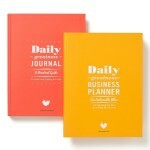 What’s to Love: This company offers an amazing array of planners. Different covers, different formats, different colors, customized with your name, initials or photo, even a selection of add on sections. Overall this is probably the most flexible of all the planner companies. Things to Consider: While you can change the cover, the rest of the pages are bound so you can’t add any pages once you receive it. What’s to Love: A clean simple design for you to add your own colorful highlights. This planner offers daily, weekly and monthly planner pages plus project management, goal setting, budget management and more. Includes monthly tabs, reinforced corners, inside pocket and elastic closure. Things to Consider: Fully bound so you can’t add any pages. Doesn’t offer any customization. 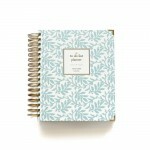 What’s to Love: This planner company is similar in cover design to others but offers some great flexibility in format. There are spiral bound daily, weekly and monthly planners formats, cover options, name customization and the option for the planner pages to be based on your to-do list or an hourly breakdown. 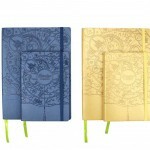 In additional they offer a Notebook Edition which is saddle stitched and very thin. Things to Consider: Fully bound so you can’t add any pages. Interior pages are printed in plain black/white. 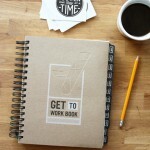 What’s to Love: This minimalist design offers weekly and monthly schedules, goal planning and project planning. 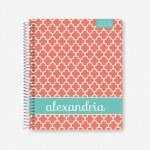 Includes: monthly tab dividers, monthly motivational prints perforated to tear out, elastic closure. Things to Consider: Fully bound so you can’t add any pages. Interior pages are printed in plain black/white. No customization options. 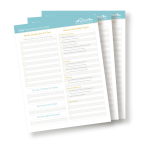 Ever wanted daily, weekly & monthly checklists that guide you through the basics of running your birth business? I created these specifically for doulas, midwives & other birth professionals to help you keep your business thriving. Includes checklists for managing inquiries/clients, administrative tasks, accounting, marketing, advertising, social media and more. Best of all, they are FREE for you to download and use! Affiliate Disclosure: Guess what? If you click on a link that I’ve provided, it might be a link to someone who will give me a commission if you buy something from their site. That means that I might get paid if you click on that link. And the reason why I’m telling you this is because I want to be upfront with you, and because it’s illegal not to. (So, you know, right side of the law and all.) That said, I promise to use any affiliate commissions earned for good causes: Things like reinvesting in this business to bring you even better resources, and quite possibly at least one Sunday trip to the zoo. Because…zoos.